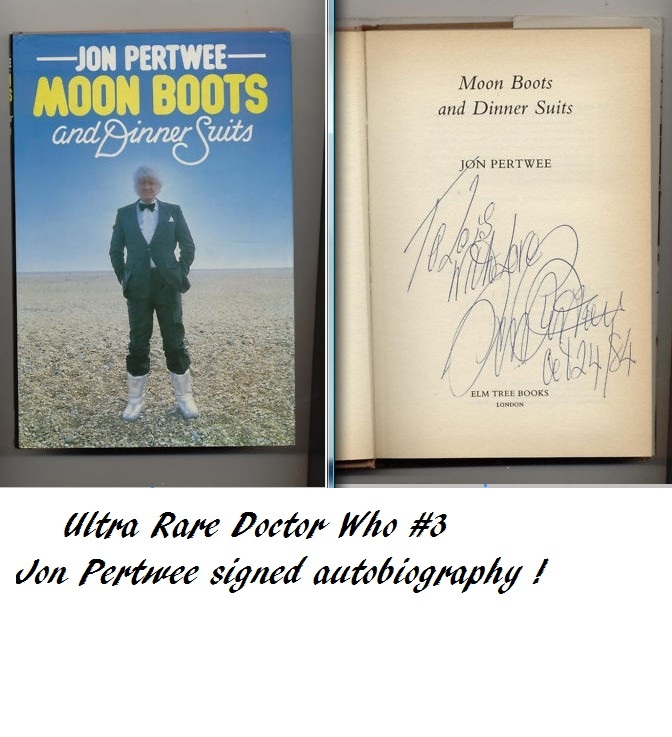 Jon Pertwee Book Signed DR WHO Doctor No#3 - 1984 Autobiography Book "Moon Boots and Dinner Suits". RARE OOP. A wonderful ,very rare, Jon Pertwee autobiography, signed by the legendary Doctor Who himself. The book by itself is very hard to find. This is only the 2nd one we've seen signed by Jon Pertwee. Signed on Oct 24th 1984. In very good condition !